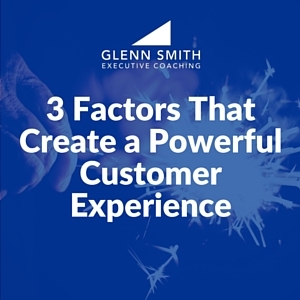 In this post I want to go deep into the 3 factors that create a powerful customer experience. Remember, your first priority should be to market to your existing customers. So it’s important to make sure they have the right experience! As I’ve mentioned before, what differentiates us from our competitors usually has less to do with our products or services, and more to do with how we treat people! The best companies in the world get this and place a major emphasis on the customer experience. Here are the 3 most basic components for creating a “Wow” experience” for your customers. How your company employees engage and interact with prospects and customers is key. Are your employees polite, courteous, positive, caring? Most of all, are they good at listening to understand what the customer needs? There’s an ancient Hebrew Proverb that says “People of understanding win favor.” In other words, if you and your employees demonstrate empathy and good listening skills, you have already begun to emotionally “wow” your customers. The more your customer feels heard and understood, the more they are going to like you and want to do business with you. It’s really that simple – the question is “Why don’t more employees do it?” The answer is that they are not trained or held accountable on these soft skills. But this is one of the factors that contributes to a powerful customer experience. Are we identifying and offering the best solution to solve the customer’s need, then providing that solution with quality, speed, and excellence? This factor requires that you and your team practice good listening skills, but you also need to have good product or service knowledge. You want to position yourself as a consultant, a subject matter expert, and a trusted adviser.When your customer feels like you understand and you are providing the best solution to their problem, again, it causes them to like you, value you, and want to do business with you again. When you make sure their needs are fully met and you do it with quality, speed, and excellence, you are creating a powerful customer experience. The truth is we never get it right 100% of the time, although that’s what we strive for! As a consumer, I am most impressed with businesses that resolve the problem quickly and positively, and then even reward me for my patience.That’s impressive! That leaves me with a very positive feeling and causes me to want to come back. Always compensate your customers for any problems, and in fact, go above and beyond. If you do that I can assure you this will create “Wow.” Remember, every mistake or mess up is an opportunity to create “Wow,” given that you’re not doing it repeatedly. I recommend that companies have a clear, simple problem resolution process, and then empower the frontline staff to take responsibility to solve the problem in a positive and efficient manner. 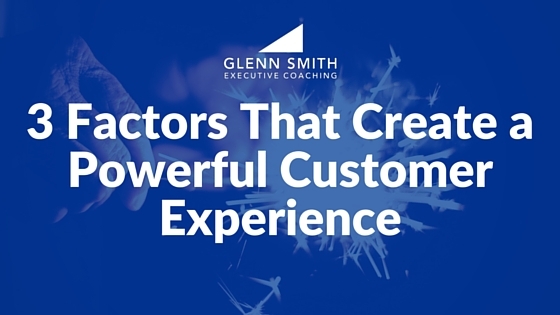 These 3 factors are the foundation for creating a powerful customer experience. If you’ll start working on these 3 factors you will be well on your way to creating a powerful, “Wow” experience that your customers will talk about! Every business should pay close attention to the customer experience of those doing business with them. Start by working on these 3 factors.